What is so different between aromatherapy and perfume. Loosely we could say perfume is an indulgence, is a pleasure or is hedonistic whereas aromatherapy is a medicine or a therapeutic aid. The materials used in the natural field have a lot in common. 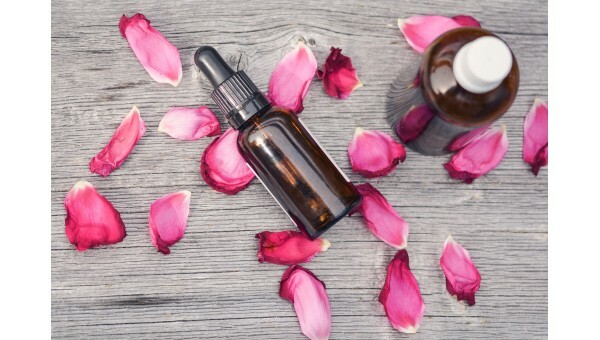 Essential oils are the backbone of both natural perfumes and aromatherapy. Perfumery favours standardised materials whilst aromatherapy concentrates the more natural and variable organic materials. Historically perfumes have often also been medicines such as Eau de Cologne and Queen of Hungary Water. They have also been entwined with religion, its priests and shamans also being connected to the healing sciences. The turning point for perfumery was the invention of alcohol. In the 8th century CE an Arabic alchemist Abu Musa Jabir ibn Hayyan designed the alembic or pot still, a technique that allowed for the effective distillation of alcohol. The “alembic” itself is the big kettle-shaped vessel where a primary fermented liquid such as wine is heated up. The evaporated material, Ethanol evaporates before water, traveling into a cooling tube and back into another vessel to condense. Without the wine, the same principle applies to steam distillation of aromatic plants. Placed in water that is heated to boiling point the steam draws out the volatile elements which are then condensed. But alcohol – oh so much can be done with it! The main components of perfume are a perfume oil, an alcohol, and water. Perfume oil can be broken down into two diverse types. A synthetic oil, or a fragrance taken from a specific source through methods such as headspace analysis or pure invention. Headspace is the smell from something (even such as manure or metal) directly vacuumed from a sealed container. The smell from the object is then analysed to find its chemical equation to recreate the smell. Oils and so smells can be extracted from flowers, plants, animals, etc. 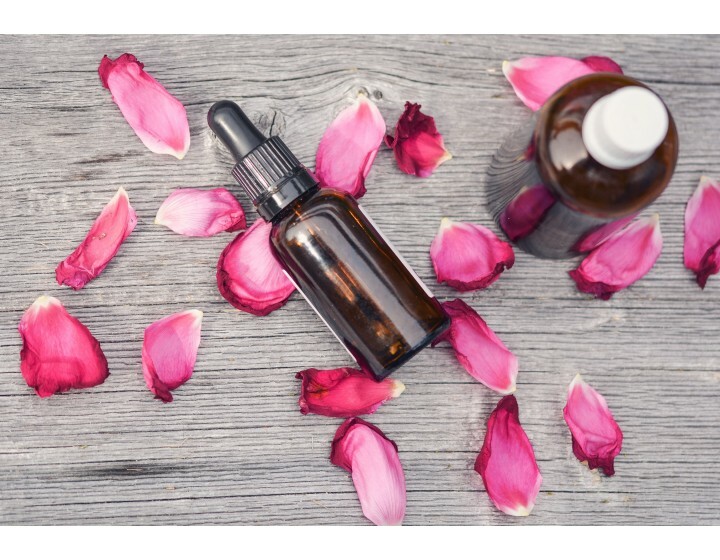 A tincture is an extract in alcohol, an absolute is made by washing plant material in hexane and then distilled with alcohol, a maceration is when a plant is placed in a vat of fat or liquid oil which over time absorbs the fat-soluble aroma molecules. The oils have three parts: The top note, the heart note, and the base note. The top note is what you smell immediately. The heart note is what you smell 3-4 hours after applying and it evaporates slowly. The base note sticks easily to the skin and can stay for up to eight hours! The chemical analysis for a perfume oil completely depend on what the oil was taken from. Do not confuse a perfume oil or compound with a maceration. You see this a lot on inferior quality internet sites that talk about buying perfume oils rather than alcohol based perfumes. What they are talking about are macerations or fat-soluble perfumes not what a perfumer would understand by the term. Perfumes should be enjoyed for the character they can bring enhancing the mood of the moment or giving a signature to a personality. They are described in words in the same way as wine is described for we do not have a language for perfume. We always must say some smell is like something, it reminds me of x or y. Just as we describe wine effusively so too fragrance is described similarly. So if a wine is said too taste of blackberry that does not mean it has any in it! Likewise perfume, if it reminds you of rose, there is no guarantee any rose is in the perfume! Over the counter perfumes are sold according to how much perfume oil is dissolved or carried in the base. So, Perfume extract: 20%-50% aromatic compounds, Eau de Parfum/Parfum de toilette: 10-30% aromatic compounds, Eau de Toilette: 5-20% aromatic compounds, Eau de Cologne: 2-5% aromatic compounds. Fragrance smells different on different people. This can be due to body chemistry, condition of the skin, the individual’s diet, medication, lifestyle, stress, and the environment in which we live. how a perfume smells is not only what it comes from, but also how a person is chemically wired to perceive it. If everyone smelled the same way and had the same “favourite smells” then everyone would also have the same favourite perfume. Depending on your genetic code, you could have different smell receptors which cause a smell to be different to you than someone else. History shows us that fragrance has been used everywhere from the sails of Anthony and Cleopatras war fleet, to the horse, the furniture, the wall hangings, clothes, handkerchiefs whilst today we fragrance all personal care items and we are moving toward more environmental fragrance. Just enjoy it and know you will not like everything. Fragrance free hardly such a thing nearly everything around us has a smell we just don’t always perceive it.